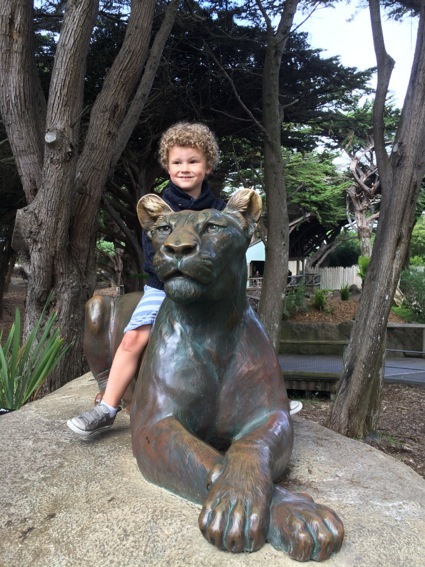 Trip to the San Francisco Zoo with James equals special fun | Who Da Thunk? The Adventurers grew up going to what was then called Fleishhacker Zoo which sat adjacent to what was once the largest swimming pool in the United States, the Fleishhacker Pool. There they rode a steam engine pulled train called Little Puffer and road on an original (circa 1921) Michael Dentzel/Marcus Illions carousel. Today, they did it all again, this time accompanied by grandson James who is spending a few days with them while his parents are away celebrating their 10th wedding anniversary. In their youth, the zoo was thought state of the art. But it grew tattered and torn and modern zoos emerged, making their childhood haunt look shabbier and shabbier. Hitting a low point when a tiger escaped, it appears to have turned a corner and has lots to offer, especially for the small fry. James and the Adventurers really like all the animal sculptures that kids could touch and climb on. L thinks they are accessible in a way the live animals aren’t and James climbed on a could dozen during their visit. Little Puffer and the carousel didn’t disappoint. The train was exactly as L remembered it as was the carousel with its rabbits. 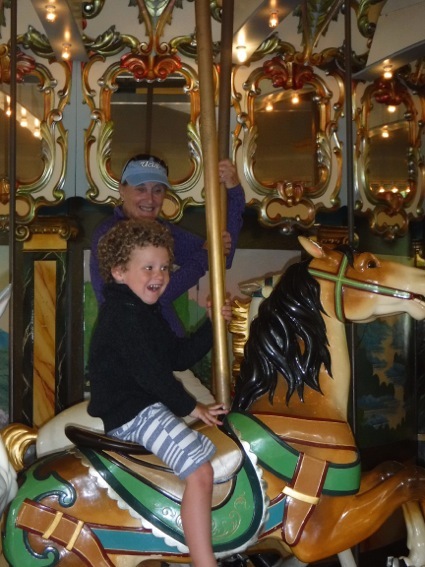 Alas, James wanted to ride the horses, the big news being that he rode animals that went up and down for the first time. “Let’s do it again,” she told Bugs (aka L). 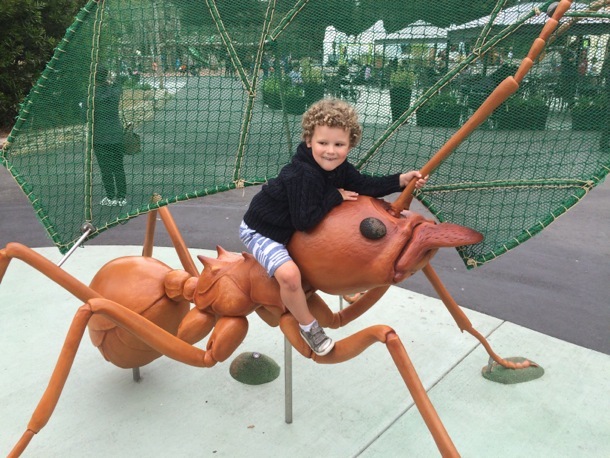 This entry was posted in Bay Area adventures, Family and tagged San Francisco Zoo. Bookmark the permalink.